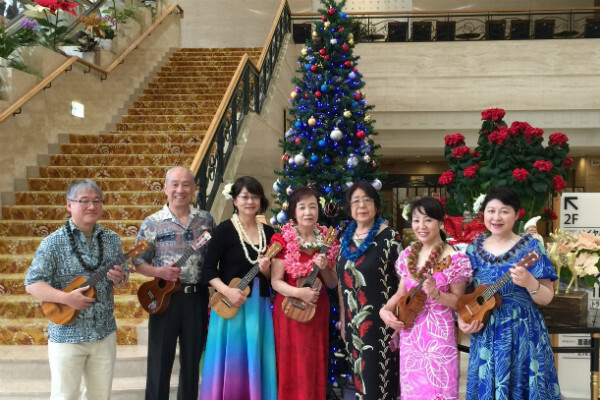 Kupuna Islanders is a Ukulele circle run by Hawaii Senior Life Enrichment Association. The group consists of local and also visitors from Japan. The instructor is Jody Kamisato who has been leading this senior group since 2008. 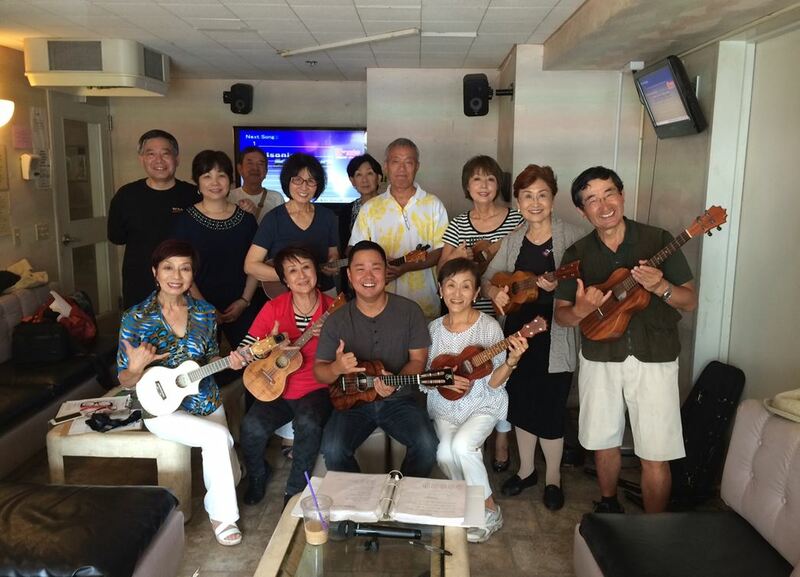 The band members get together once a week in Waikiki and enjoy practicing Hawaiian songs & other ukulele tunes. The Hawai‘i Gagaku Society was founded in 1968 by Reverend Masatoshi Shamoto and his first generation of students in Hawai‘i. It is a community-based group, with University of Hawai’i ties, that meets weekly to study and practice this ancient music. 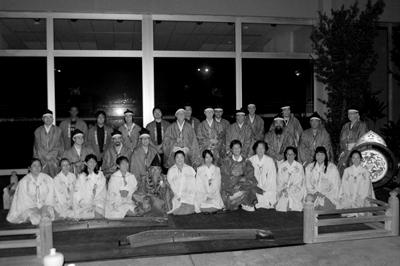 The group has performed on numerous occasions in Hawai‘i including ceremonies at shrines and temples, ceremonies at the Japanese consulate, the annual Tōrō Nagashi festival at the Ala Wai canal, as well as moonviewing concerts about once a year at the University of Hawai‘i. Under the head administration of Fr. Sebastian Chacko and principal Christina Malins, this co-ed parish school is open to students from preschool through 8th grade. 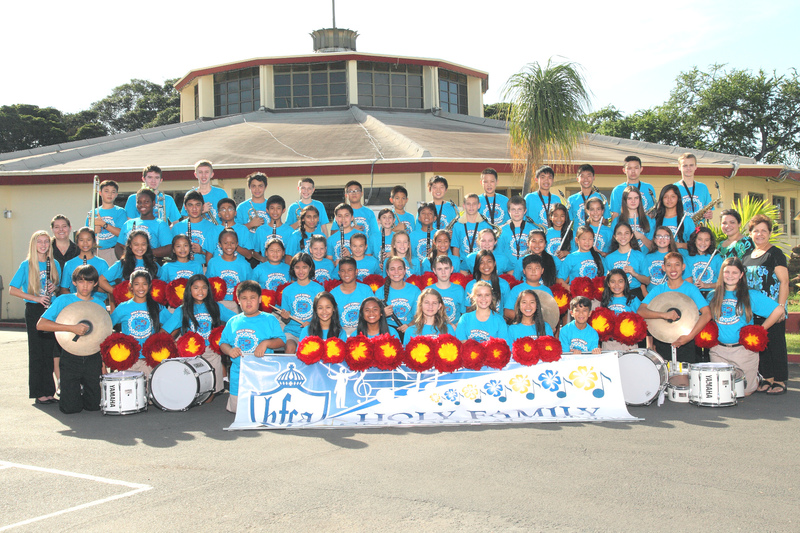 Holy Family’s Marching Band and Hawaiian Music Dance Ensemble is traditionally the youngest marching band in the state. This talented group has performed in Disneyland, San Francisco, Las Vegas, and Washington D.C. The members you see here are excited to be traveling to Disney World, FL this spring. They are happy to be returning to play for you this year for the Honolulu Festival Parade. Ryukyukoku Matsuri Daiko originated in 1982, combining traditional Eisa and Karate forms with contemporary influences and music to create a new and unique taiko style. RMD remains headquartered in Okinawa, however the club has grown tremendously and now includes chapters all around the world. Our own Hawaii chapter was founded by Akemi Martin-sensei and now includes branches on Oahu, Kauai and the Big Island. For more information, please visit www.rmdhawaii.org. 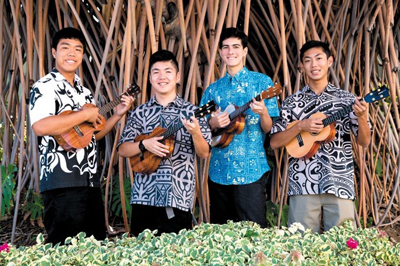 4U Ukulele Quartet is group of four teenage boys who are all ukulele champions from various contests in Honolulu. They performed for the live recording of From the Top at the Blaisdell concert hall last December.Their name is Taiga Benito, Ryan Nakagawa, Given and Chane Yagi. Dance Junction Hawaii is a Honolulu dance studio featuring award winning dancers ages 7-16. They perform jazz, lyrical, contemporary, pom and funk styles of dance. 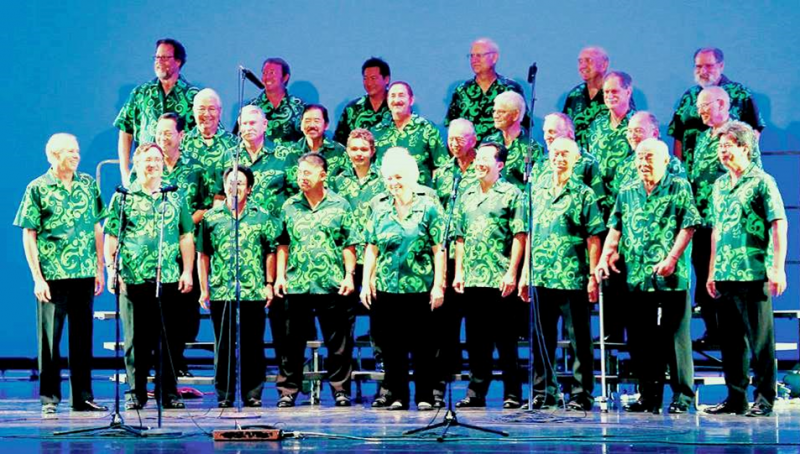 The Sounds of Aloha Chorus has been entertaining audiences in Hawaii for more than half a century with four-part acappella music. We perform a diverse repertoire of barbershop standards, Broadway hits, jazz, pop, Hawaiian, patriotic, and hapa haole favorites. The chorus is made up of men of all ages and walks of life. We welcome all interested men to join us. Hello everybody, once again we are Taikokozo. 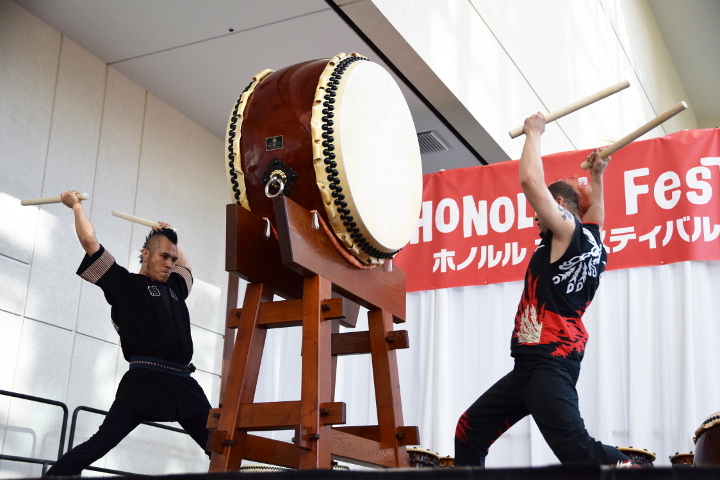 Our mission is for everybody to enjoy the taiko drum. 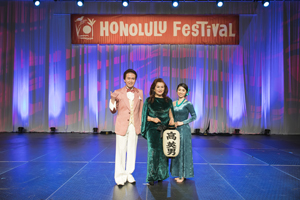 This will be our 9th time to participate at the Honolulu Festival. Please enjoy our powerful taiko drumming performance.